Would you like to hold an event on Dalston Roof Park? Brought to you by Bootstrap Charity, the Dalston Roof Park is Dalston’s only rooftop bar and music venue where all profits go towards empowering young people and businesses to succeed professionally. Each Wednesday we want to give our local community the opportunity to hold an event on Dalston Roof Park. It is important to us that our events programme is relevant to what’s going on in and around Hackney. We are looking for local community groups, promoters or individuals that have an idea that they would like to showcase. 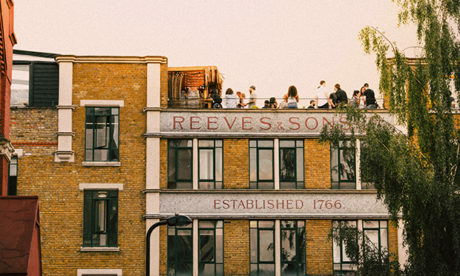 Dalston Roof Park will hand-over their space with no hire fee to community events/projects. The only criteria being that any profit made from your event is either invested back into the community, further development of your project or donated to a charity. It could be anything from a fundraiser, an event with social impact, a fashion show, film screening, or an event showcasing young people’s talent. Please submit your ideas for a chance to hold your own community event on Dalston Roof Park to kirsty@bootstrapcharity.com by 31st March 2019. All applications will be considered and decisions made according to availability. 1. What is your idea and why would it work on the Roof Park? 2. What is unique about your idea and how will you execute it? 3. Who will be involved and what is their experience? Bootstrap Charity is one of Hackney’s oldest workspace providers found in the heart of Dalston. We provide office and workspace to a number of established charities that have offered services to Hackney residents for over 25 years. Bootstrap offers practical support to tenants with business development, convenient lease options, use of event and exhibition spaces, and financial support for development. Bootstrap Charity also run a series of programmes for young entrepreneurs that want to develop their own businesses and social enterprises. We recruit tenants as business mentors and provide tailored support for the young people.